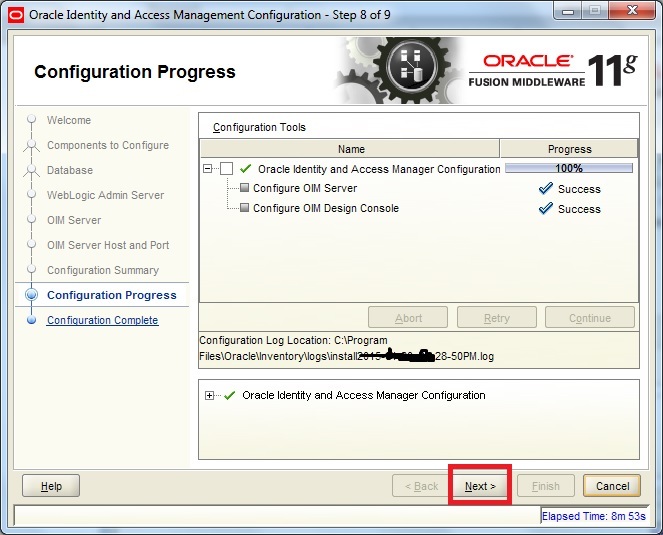 In this lab we are going to see the steps to Configure OIM 11GR2 PS3. 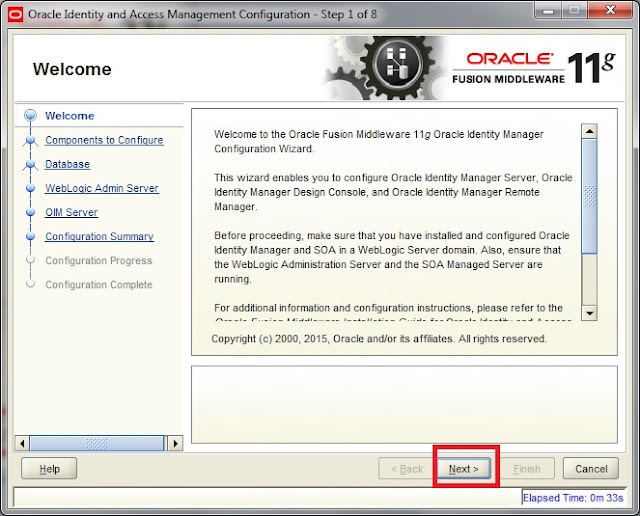 For overview of the steps click here. Note: Here we are assuming that you have installed the database, weblogic, SOA, OIM and created the schema by running the RCU. Also java is already installed. Before configuring OIM sure that you have increases the process parameters and started Admin and soa server. The steps for the same is given below. 1. 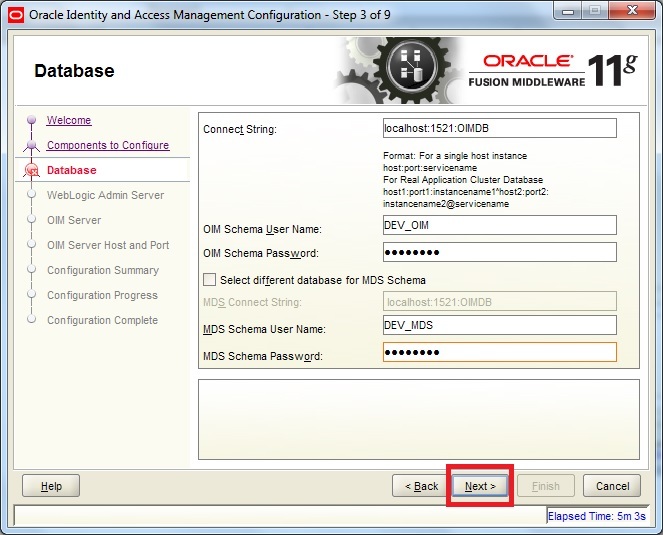 Login to Database using sqlplus. 2. Provide username name as sys as sysdba and the password. 5. Shut down the database instance using “shutdown immediate” command. 6. 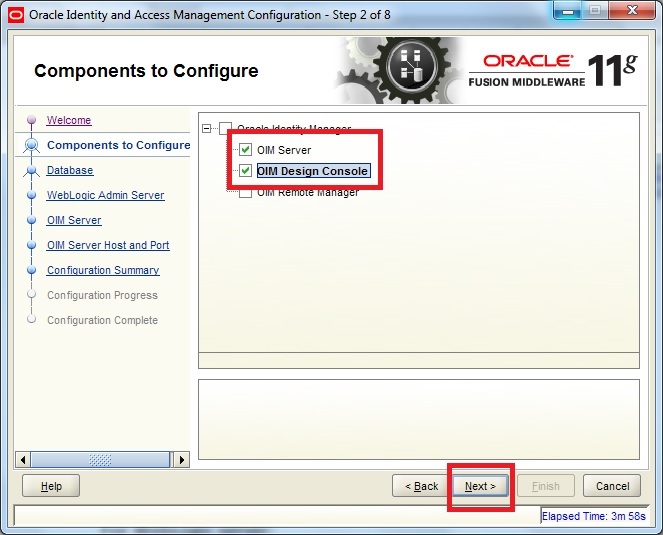 Start the database instance using “startup” command. 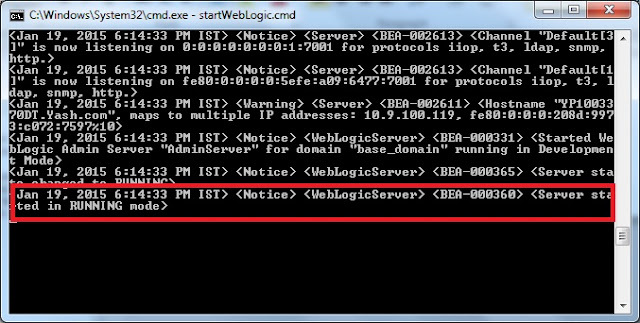 1) Start the Admin(weblogic) Server by running the command as shown in figure below. First open the command prompt and navigate to "<Middleware_Home>/User_Projects/domain/<domain_name>/bin" & run the command "startWeblogic.cmd". 2) If ask for user name and password, Please provide username as weblogic and password you have given at time of domain configuration. Here it is Welcome1. 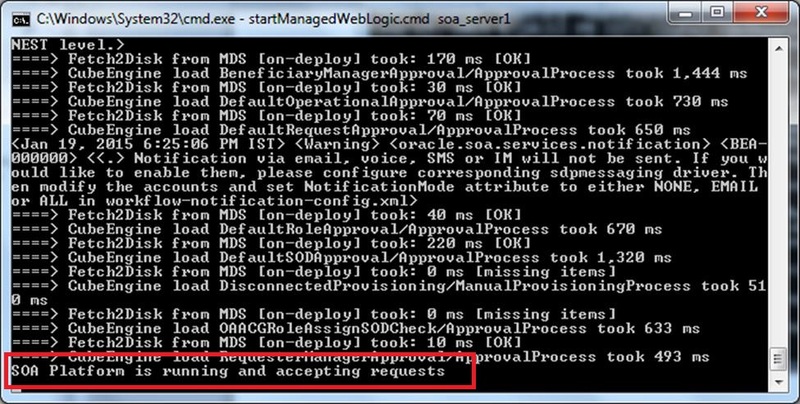 Wait for the server to come in Running mode. 3) Now start the soa server in the same way we have started the Admin server as shown in figure below & wait for the server to come in Running mode. 1) Run the Config.bat by navigating to "<OIM_HOME>/bin" as shown in figure below. 2) On the Welcome screen click Next. 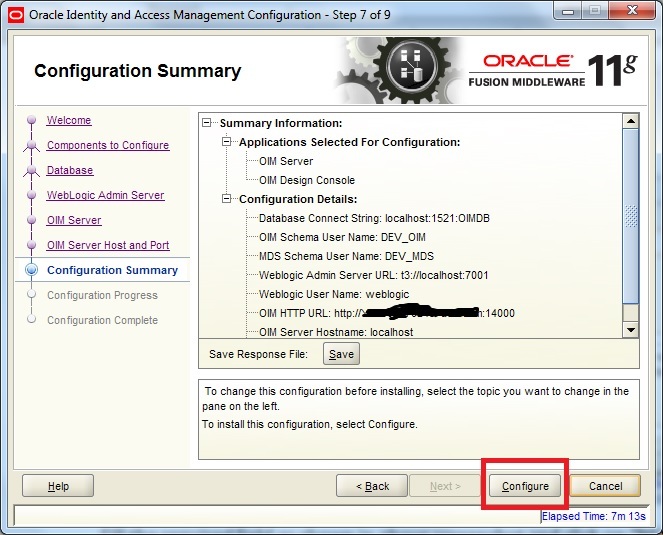 3) On the Configure screen select OIM Server & OIM Design Console and click Next. 4) Provide the details as shown in figure below as per your environment. 5) On the WebLogic Admin Server provide the details related to weblogic server as shown in figure below. 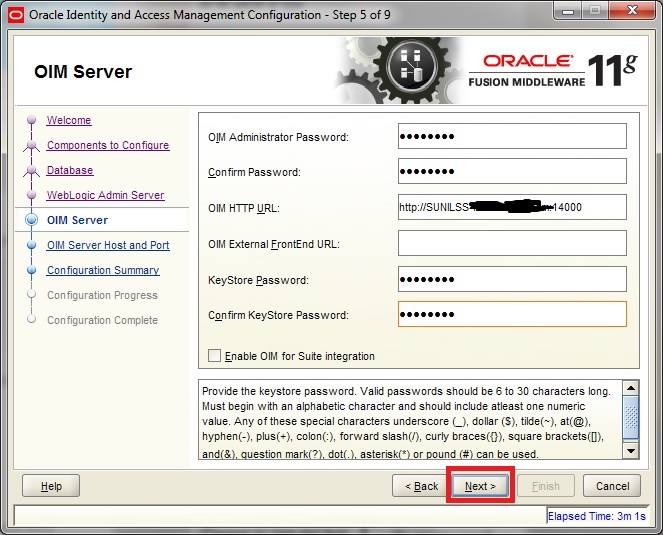 6) Enter the password as per your choice. I have given Welcome1 as shown in figure below. 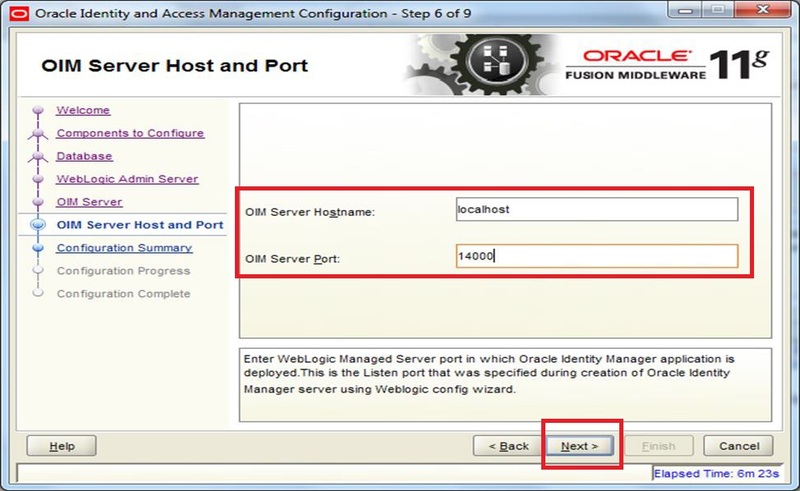 7) Provide the details for OIM Host and Port as shown in figure below. 9) Wait for the configuration to complete to 100% and click Next. 10) At last click Finish.